Our legacy continues with the new Kingdom Collection… Providing consistent full body support, our 5 zone micro pocket springs system is engineered to accommodate all shapes and sizes. 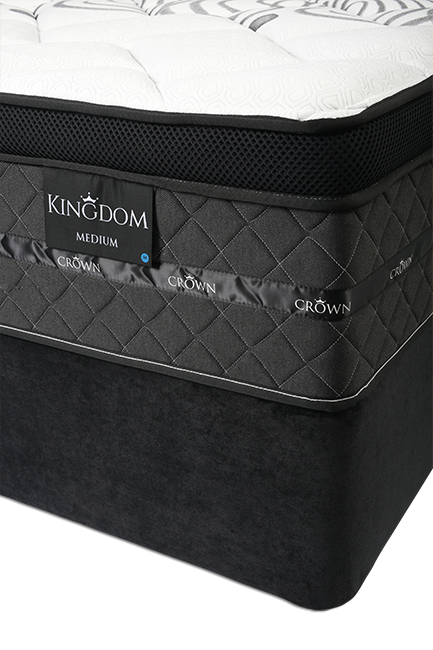 The kingdom range has been designed to conform to the natural contours of your body providing personalized support through the individual pocket springs, creating the perfect environment for a quality restful sleep. A bedroom essential, the Kingdom range provides you with 30% more springs than a standard Pocket spring mattress and also includes a bamboo fabric adding a natural touch to the product providing breathability and ventilation.